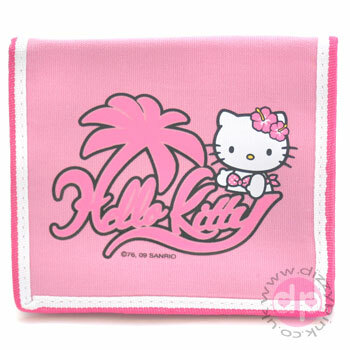 This colourful two tone pink Hello Kitty Canvas Wallet has a large section for notes, a section for change and somewhere for credit cards too. Fastens with two handy poppers. Comes in the adorable Bikini Kitty design. (H) 10.5 x (W) 12 x (D) 1.5cm.